Categories > News > Welcome New Members! Also welcome to all who have been here but we haven't officially welcomed! Please read the "Please Read - Intent & Purpose" post so you know what we are about. 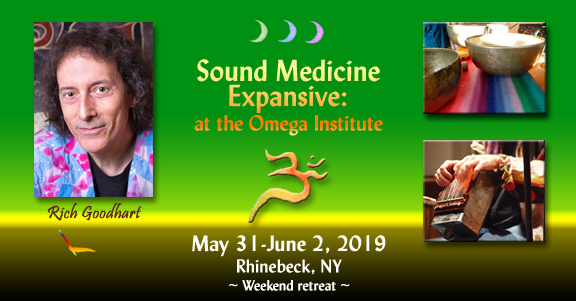 And please feel free and invited to join in the discussions, to contribute your wisdom and experience, to ask your questions, and to post on new Sound Healing/Therapy topics that interest you. This forum is for all of us who are interested in expanding the knowledge and raising the bar on the discourse within this wondrous realm of Sound, with a clear desire for integrity, real world grounding and cosmic inspiration! May we also inspire and create connection and community through the Sound and to each other, nurturing the vibrational weave that we all find ourselves awakened to. ***ALSO ~ Please consider using your real name in your signature line. We are attempting to create a respectful and professionally responsible atmosphere here and to that end it really helps greatly in supporting that intent if we know whom we are speaking with. Thank you. Please bookmark this Forum and visit often! Hello ! Thank you for the welcome, I have a suggestion is it possible to put a section with Sound Healing instruments/ tools for sale? That way people can share used & other instruments between members of the forum. Thank you for the suggestion. We will consider it, but honestly I am a bit wary of having this be a free marketing forum. For some it might be seen almost entirely as a place to sell their goods, and many of us sell bowls, gongs, CDs, books etc, so where to draw the line between personal 'used and other' items and retail isn't too clear or easy. Again, thank you, and we will consider it, but no guarantee of a yes at the moment! Fair enough drawing the line is very hard I understand. Do you know if there is a marketplace for used instruments? The new ones are so highly priced ! Shari, there may be a marketplace but I don't know of it if there is. I'm assuming you mean gongs and bowls. I'd try eBay and also just putting "used gongs for sale" and "used singing bowls for sale" etc... in a Google search. With all that is being bought surely some must be getting resold.